After the first year of your child’s NDIS plan, you have the option to review your child’s goals, needs and supports at their next NDIS planning meeting. Your child’s next NDIS plan also gives you the opportunity to change the way that your child’s NDIS service providers are paid, if you want to. Agency-managed: Having your child’s NDIS funds Agency-managed means that the NDIA will pay service providers on your behalf. The NDIA will manage the bookkeeping, and keep a record of your spending in the NDIS participant portal, myplace. You will be able to view your plan and track your spending in the myplace portal, without having the responsibility of paying providers. This funding can only be used for NDIS registered providers, such as Yooralla. Service providers who are registered with the NDIA have met requirements regarding qualifications, approvals, experience and capacity for the approved supports. Find out more about registered providers. Plan-managed: If you choose plan-management, your child will receive NDIS funding to have a Plan Manager. The Plan Manager will pay your child’s providers for the supports they receive, help you keep track of their funds, and do financial reporting for you. This option means your child can use registered and non-registered providers. Self-managed: Self-managing your child’s NDIS funding means you’ll manage your child’s NDIS funds and pay for their supports yourself (this may be all of their supports, or perhaps only some). 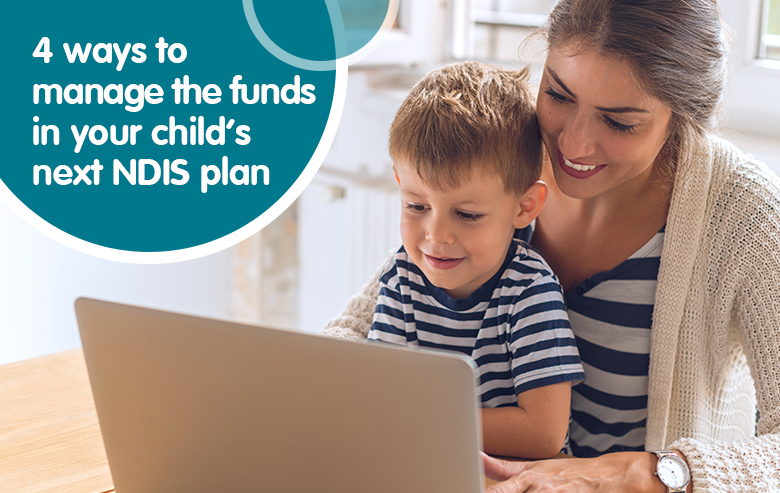 You will need to keep invoices, receipts, pay slips and bank statements for five years as evidence that you have responsibly managed your child’s NDIS funding. This option means you can use registered and non-registered providers for your child. A combination of the above three options. If you had the NDIS paying your child’s service providers (i.e. Agency managed) and feel confident with the portal and having more control over your child’s funding, you can switch to plan managed or self-managed. Alternatively. if you have been self-managing your child’s NDIS funds and found it difficult, you can switch to Agency-managed or plan-managed. For more information about choosing how to manage your child’s NDIS funding, or any other NDIS questions, you can contact Yooralla’s Community Engagement team for a free one-on-one NDIS discussion. 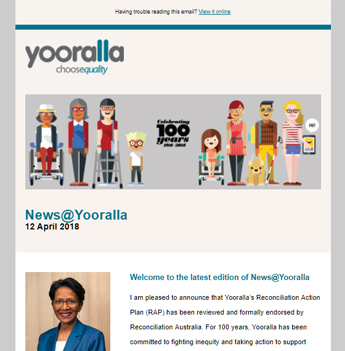 Yooralla also has a range of free NDIS resources that can support you to understand and the National Disability Insurance Scheme (NDIS), no matter what stage of the journey your child is in.